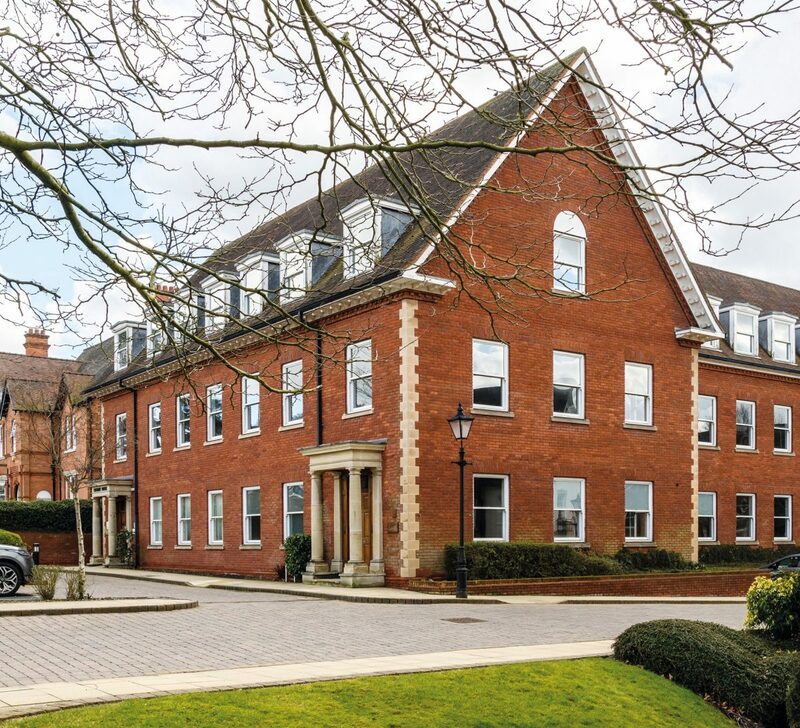 Speculation is growing on potential buyers for a spectacular three bedroom top floor penthouse with huge rooftop garden at the Princes Gate development in Solihull. Elevate Property Group is just weeks away from completing the first phase – Consort House which will offer 30 apartments out of 100 to be developed on the site. David Hofton, Elevate’s sales and marketing director, said that they had seen a massive surge in interest in Consort House since the New Year. Buyers have already reserved more than 50% of the 30 apartments with Consort House’s first owners due to move in in April. “Intriguingly, we have had a really strong spread of interest, ranging from first time buyers who can now take advantage of Help to Buy, through to buy to let investors looking at a 5% yield and downsizers who are attracted by the luxury specification and the fantastic location. “Waitrose is your ‘corner shop’, the train station with a 12 minute run into Birmingham is 250 metres away and John Lewis is a stroll around the corner. “One interested older couple described it as the ‘easiest living’ in the region. Older buyers are also attracted by the ability to lock up and leave – particularly those who may spend part of the year abroad or travelling in their retirement,” he said. But it is the top floor penthouse apartment that is proving a magnet with speculation rife that it might attract a Premiership footballer or reality TV star. The penthouse apartment – price on application – on top of Consort House measures 1,550 sq ft and has a 1,000 sq ft south west-facing roof garden – perfect for parties or large family gatherings. To get a flavour of the luxury specification that can be expected at Consort House, Elevate has opened two show apartments, a one bed and a two bed example, with a further two apartments also finished and available for inspection. Prices for the one bedroom apartments start at £184,950 and for the two bedroom apartments from £289,950. The two show apartments are currently open on Saturdays from 9am to 2pm but will soon be opening on Fridays and Sundays as well to satisfy the strong interest in the development. Viewings can be arranged at other times by appointment. For further information see http://www.elevatepropertygroup.co.uk/developments-grid/princes-gate/ or call David Hofton on 0121 272 5729.